Every year, millions of people tune in to see a singing contest which serves up a musical kaleidoscope of vomit. An über-camp spectacle of ridiculous pop wannabes looking for their fifteen minutes of fame in the hope that it will lead to a Europe-wide hit single and perhaps immortality, only to be instantly forgotten until the whole thing kicks off again the following year. But I’m not here to talk about the X-factor final. Let’s talk about the Eurovision Song Contest instead. The contest was a regular feature of my life as I grew up, from Brotherhood of Man, Bucks Fizz and er, Samantha Janus. The build up to this year’s contest in Baku (Google it) has been entertaining. First Armenia declared they were withdrawing from the contest in protest at the host country er, Azerbaijan’s treatment of er, something or other. This was naturally a mortal blow to the musical contest as a whole which will miss Armenia’s extraordinary rock and pop heritage, which consists of er, precisely nothing. 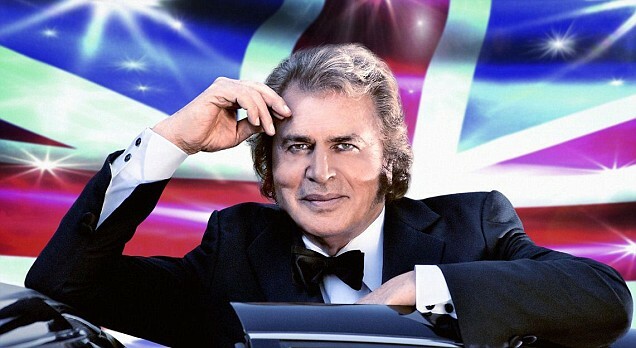 Then the UK stepped up with the septuagenarian Engelbert Humperdinck whose dubious claim to fame is that his novelty song “Please Release Me” kept Penny Lane / Strawberry Fields off the number 1 slot in 1967, which resulted in the eventual split of The Beatles. Thanks Englebert. (NB. I know that’s not exactly why they split up, but let’s not let the facts get in the way of a good story). All of which is highly entertaining, but you can’t help be left with the feeling that this is the equivalent of watching a herd of cows fighting over a typewriter. It’s also slightly baffling that the United Kingdom condescends to participate. I hope my European and American followers will forgive any slight jingoism here (at least those who are not asking “What the heck is the Eurovision Song Contest?”) , but we do rather seem to have already won this contest. Why are we having a competition with (in the nicest possible way) Kazakstan or whoever about who has the best songs?!! And why don’t we just enter Adele? (Is that cheating?). It’s Adele’s world right now. We’re just living in it..
It’d be like watching Stephen Hawking playing a five year old at noughts and crosses, but (and this is the annoying bit) getting the five year old’s classmates to judge the contest. It’s just a waste of everybody’s time. Hawking should be solving the great problems of time and space, not poncing about with five year olds playing games he can’t win because the voting is fixed. Something that, judging by the recent elections, Russia is allegedly getting very good at. Allegedly. I predict a landslide win for the Russian Grannies….or the Russian occupation of Azerbaijan. Watch this space. The Eurovision Song Contest is on BBC1 on Saturday 26th May. At the same time that Judas Priest play Hammersmith Apollo. You choose. The first semi-final is tonight on BBC3. Unfortunately, Eurovision voting has all come down to regional politics. How about a Euro metal competition? Whatever one thinks of the ESC, the main reason that English rock bands are more famous than those from other countries is that people in other countries are willing to listen to English bands but bands from other countries, even if they sing in English, have a hard time, mainly because people in England don’t listen to them. If they don’t sing in English, then they have essentially no chance in England. Thanks for your comments! I agree that English people like to hear English lyrics. We have terrible language skills – me included. The only foreign language songs that were successful over here were all French: Ca Plan Pour Moi, Je T’aime and Joe Le Taxi. Even I knew what the latter was about. Still no idea what Ca Plan Pour Moi means. It doesn’t matter – it’s a great tune! Jedward scares me a ltitle bit. They remind me of a young Robert Pattinson/Clay Aiken mix, and it creeps me out that there’s TWO OF THEM.I’m not crazy about Denmark’s entry this year, it’s horribly cliche9 and while I know that’s in the spirit of Eurovision, I still think they could’ve done better (by, I don’t know, NOT ripping off Sweden). I didn’t watch it yesterday, but I might watch it tonight, there’s always some really funny ones inbetween! 🙂 Thanks for reminding me!